Precast SDS-PAGE gels are used whenever possible to reduce contamination. The advice on this page must be followed to avoid keratin and detergent/polymer contamination. All gels should be stained. 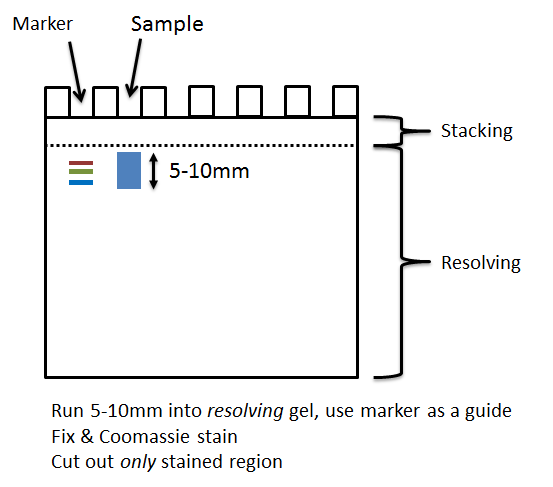 If running sample into the top of a gel stain you must stain with Coomassie so you can cut out the protein-containing region accurately. The customer must cut-out their own gel band for submission, and dice it into cubes (around 1mm cubes, not smaller). 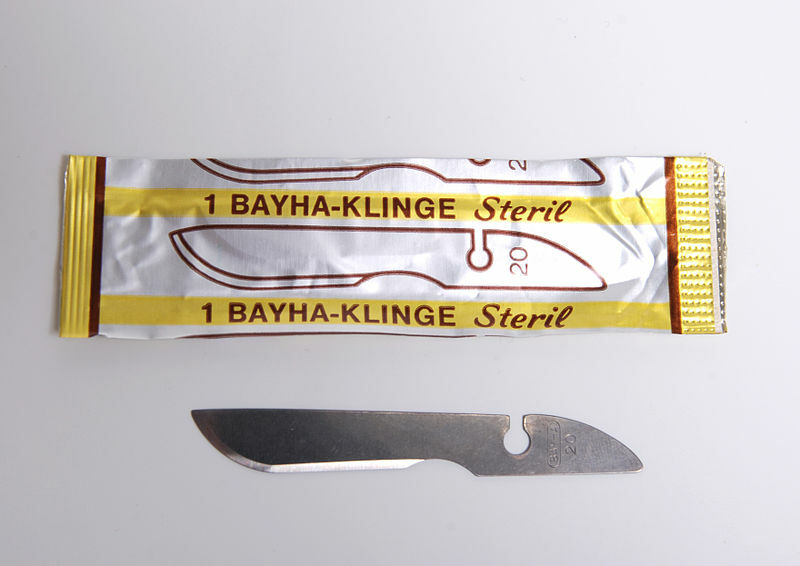 Diced gel band should be placed into a rinsed 1.5ml Eppendorf tube for submission. Rinse the tube with 50% organic solvent and millipure water. Gel bands/slices should be kept as small as possible, and no larger than 10mm length of a gel lane. All tubes are labelled with the sample ID generated by the sample submission system. None of the dye front or stacking region of the gel should be included when cutting the gel. Including these portions can introduce major contamination and significantly affect the results. NB: You can run further and slice into multiple 5-10mm bands to submit as separate samples if you wish. Modern mass-spectrometers are extremely powerful and can identify very small amounts of protein. 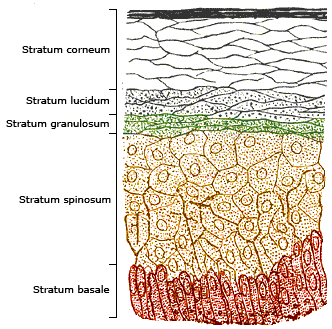 All humans are constantly shedding skin cells so there is a large amount of keratin in the air of labs, on surfaces, and in gel boxes, glassware etc. that have been left uncovered on benches. 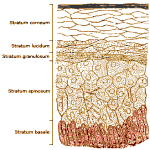 It’s normal for us to identify some keratin in samples as total avoidance of contamination is almost impossible. However, large amounts of keratin in a sample can mask proteins of interest that are less abundant. Detergent and other polymeric compounds can cause tremendous problems in LC-MS/MS analysis. Polymers such as the surfactant PEG ionize extremely well, and even tiny amounts can obscure peptides in the analysis of your samples. Additionally, detergent / PEG will stick to our LC column and LC tubing. This can affect the analysis of other samples, forcing us to replace the column and clean the equipment thoroughly. Please avoid all contact of gels with surfaces that may have been contaminant with detergent. Also avoid using coated tubes or low quality plastics that can leach polymer. If you work in a lab that uses large amounts of recombinant protein in experiments, or uses milk powder for western blots etc. it is surprisingly common to see contaminating proteins in your samples. Modern MS instrumentation is extremely sensitive, and we can sometimes tell what else is going on in your lab from your sample! Follow the advice below to avoid contamination, particularly the instructions to keep a separate set of glassware, gel-boxes, reagents etc. for MS experiments if you think this issue applies to you. Minimize the opportunity for contamination of cell culture dishes / harvested tissues or collected fluids by ensuring all containers are clean. Maintain a separate set of all glassware / gel boxes etc used for MS experiments, that is not shared with others in the lab. Often they are carrying out non-MS experiments where controlling contamination is not critical. Always rinse or clean gel boxes, tubes, thoroughly with organic solvent and millipure water before use. 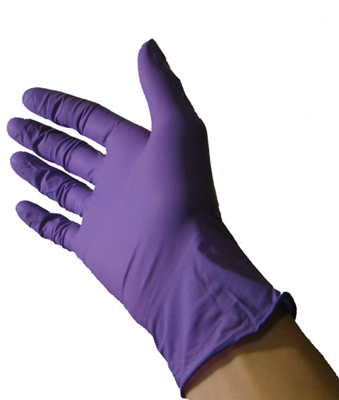 When handling gels use new clean powder-free gloves, and change them if you have to handle potentially contaminated surfaces. Clean the gel box or surface you are cutting the gel on/in with ethanol, isopropanol or methanol before the gel comes in contact with it. 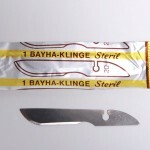 Use a clean razor/scalpel blade, and clean it further with ethanol, isopropanol or methanol before cutting. 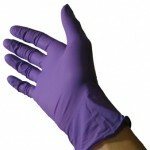 Handle and cut the gel in a laminar flow clean hood if one is available in your lab. Don’t cut out unstained gel surrounding a band – cut tightly to the stained area. Slice the cut gel band into 1mm cubes, but no smaller. Place the sliced band into a high-quality Eppendorf microcentrifuge tube, which has been rinsed with 50% organic solvent and millipure water. Close the tube as soon as your bands are inside!